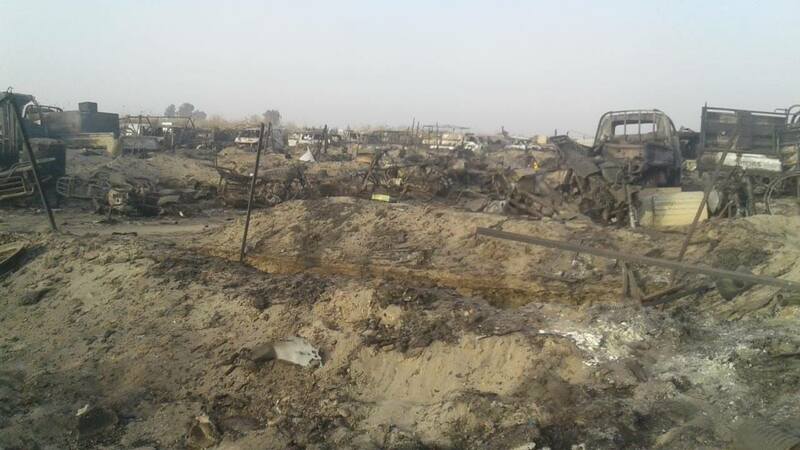 Between midnight and 5 am on the morning of April 13th, an alleged US-led Coalition airstrike struck a house in Al-Takihi in northern Deir Ezzor and killed five people, local sources reported. According to Jisir TV, the operation was carried out by several Apache helicopters and Hummer vehicles. It is unclear at this time whether all the victims were members of ISIS or not. The house reportedly belonged to a member of ISIS, who was hiding inside. 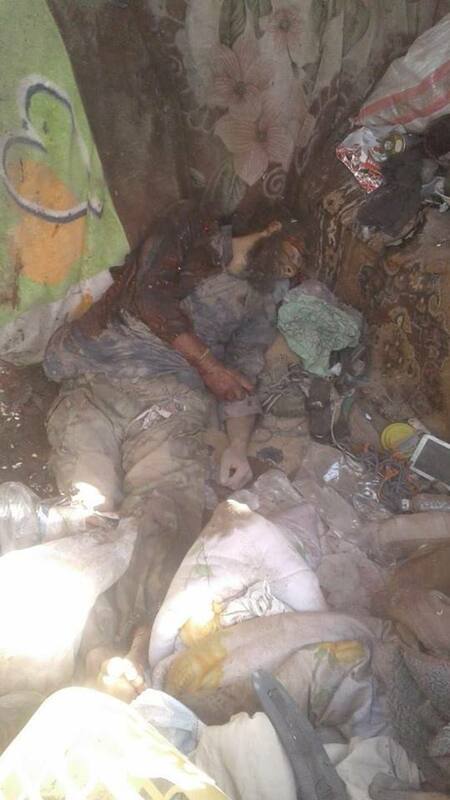 Among the victims were two former ISIS members who, according to Deir Ezzor 24, had “defected” several months ago. The two victims were brothers of the house owner, according to local sources. 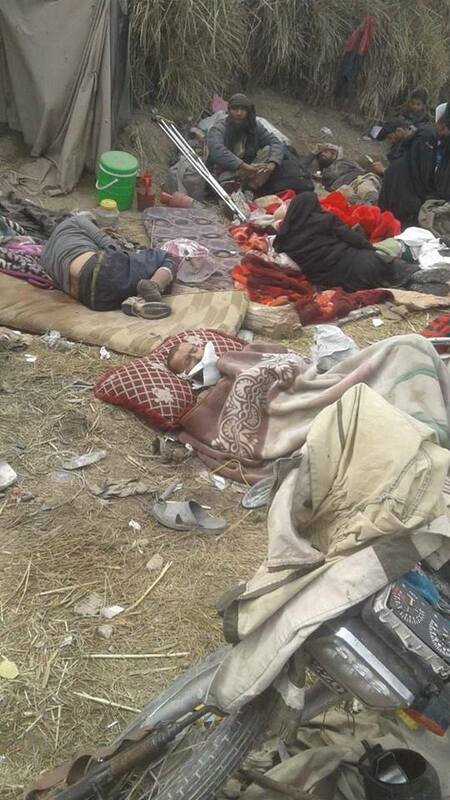 Two other men and a woman with Iraqi nationality were reported killed as well. Local news outlets Baladi and Jorf claimed these three were also members of ISIS. Considering that ISIS does not recruit women, she is considered a non-combatant and will therefore be included in the civilian casualty count of Airwars. Step News added that eight others were wounded. A number of people were also reported arrested. According to Step News, the father of the two brothers was arrested. Jisir TV added that his other son Ra’ed was arrested as well. According to Al Masdar, however, the “U.S. military” arrested eight of the suspects, who the source reported “of Iraqi and Syrian descent”. The eight arrested people could have been among the eight wounded. The incident occured between 12:00 am and 5:00 am local time. 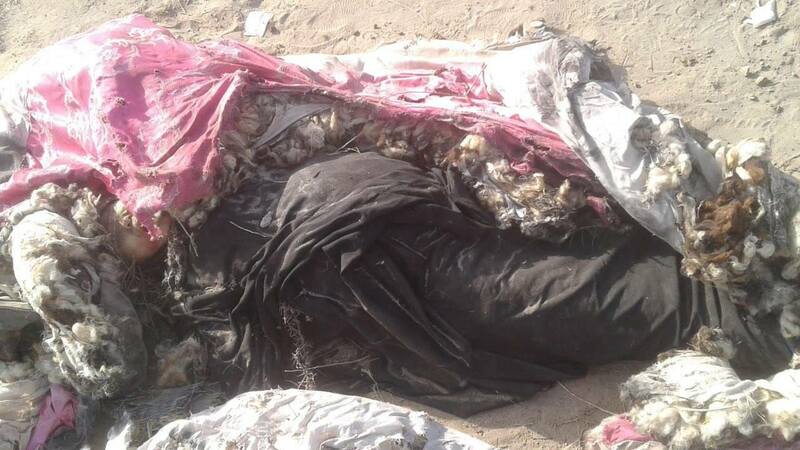 A girl was reported killed and a man injured when an airstrike was carried on a house in Al-Oudan district, north of Rutba, Anbar province, Iraq. The airstrikes were believed to be carried out by American forces. The other members of the family were reportedly arrested but the reason remains unknown. Between March 24 - April 6, 2019, CJTF-OIR conducted 52 strikes consisting of 98 engagements against Daesh targets in Syria and Iraq...In Iraq, CJTF-OIR conducted 23 strikes consisting of 45 engagements, engaged three Daesh tactical units, and destroyed seven tunnels, four supply routes, two buildings, two caves, one command and control center, and one compound. Local sources reported the death of the young woman “Alaa Mahmoud Al-Shakran” displaced from the city of Palmyra, as a result of alleged Coalition on the town of Al-Baghouz on March 20th. According to a post by Revo.palmyra3, this brings the number of fatalities to four civilians displaced from Palmyra including two women and one child in the same week. 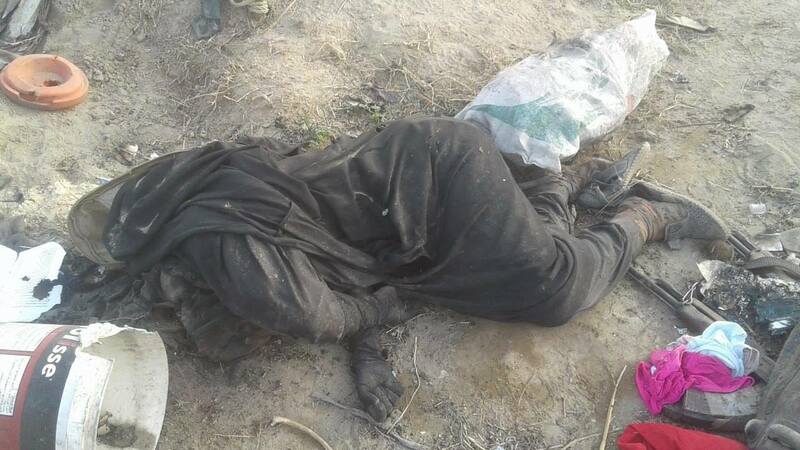 Two local sources reported that two named civilians – Shaimaa Walid Al Turki and Rahaf Darwish – died in an alleged Coalition airstrike on Al Baghouz camp. According to revo.palmyra3, the two victimns were displaced from Palmyra and died “as a result of the daily bombardment of aircraft”. Palmyra and Al Sukhna group noted that Rahaf Darwish was “young”, suggesting she may have been a child. revo.palmyra3 noted that “many of the displaced are still trapped in the area and there is no news of them until now”. "Between March 10 - 23, 2019, CJTF-OIR conducted 250 strikes consisting of 398 engagements against Daesh targets in Syria and Iraq. As the SDF sought to take control of Al-Baghouz, the last ISIS territorial stronghold in Syria, local sources reported on what was referred to as a significant “massacre” in which between 160 and 300 civilians including 45 children were alleged killed. Nors For Studies – an Arabic language source which describes itself as a Syrian research centre though which was not known for casualty claims in Deir Ezzor until very recently – alleged the staggering number of 3,000 people killed by Coalition bombardments. It was unclear whether this referred to a general number of fatalities, or whether it referred to one specific incident. According to the source, 300 people were reported killed as a result of “sniping” and 300 charred bodies were found, most of whom were reported to be children and women. According to Raqqa is Being Slaughtered Silenty (RBSS), these people were killed in Coalition air and ground attacks aimed at expelling ISIS from the town. The source reported that ISIS used hundreds of civilians as human shields during the raids. 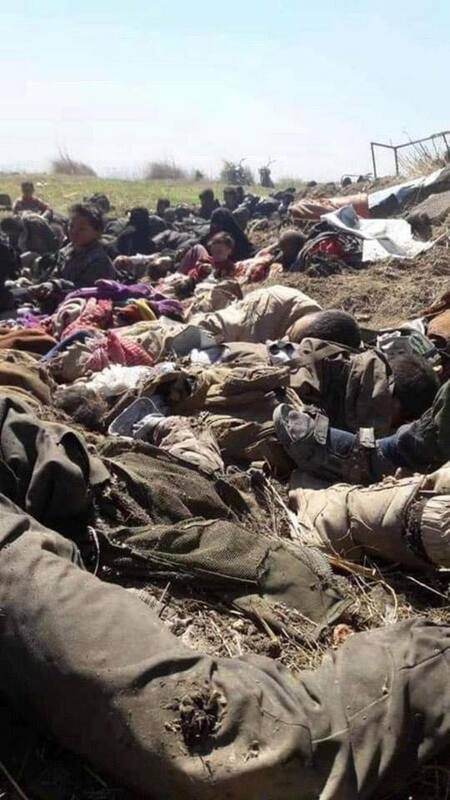 It alleged that after SDF took control of the town, “SDF militias dug mass graves to bury those killed and even those merely injured”. 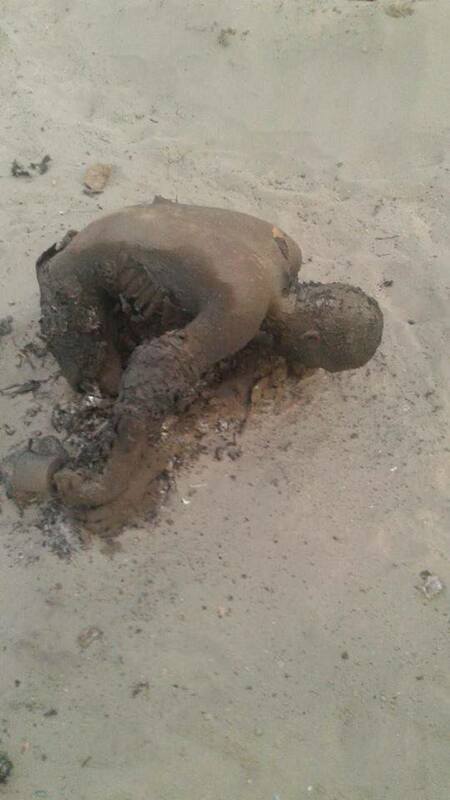 Alongside the report, RBSS posted numerous graphic photos of human remains and charred bodies. Several sources including Al Hasaka Arabea and RBSS reported that after “the images leaked”, journalists were prevented from entering Al-Baghouz camp by the “intelligence service of the Kurdish Democratic Union Party”. 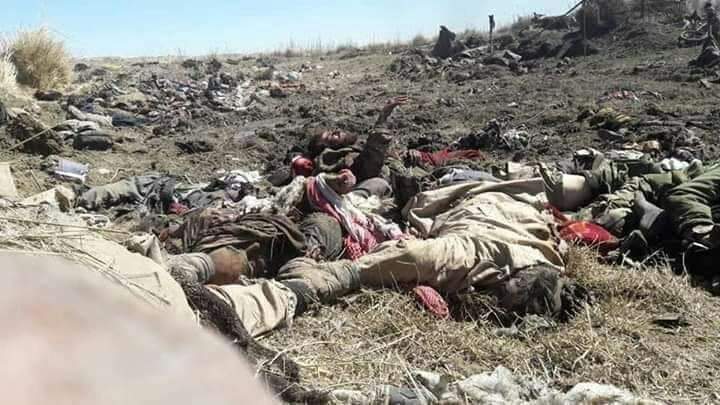 This intelligence service was reported to have entered with a convoy of trucks “in order to get rid of the bodies of the massacres committed by the Kurdish protection units”. Al Hasaka Arabea also claimed that the Coalition did not distinguish between civilians and members of ISIS. 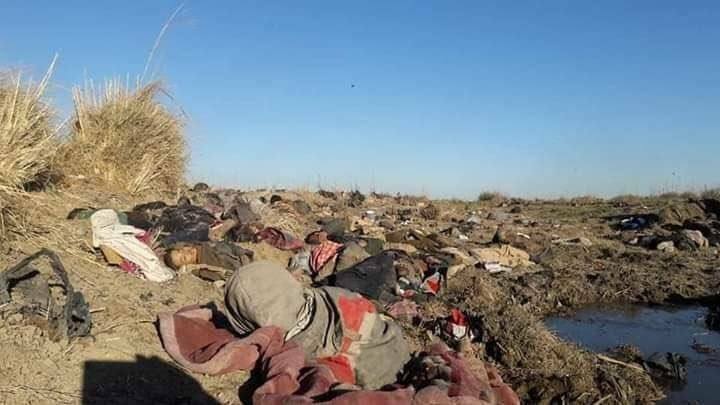 The Syrian Observatory for Human Rights (SO4HR) reported 200 people including ISIS members and their families were killed in alleged Coalition bombing on Al-Baghouz camp carried out on Tuesday March 19th. The source reported that among the victims were 160 civilians, including 45 children. The bodies were reportedly buried on Wednesday morning March 20th. The Syrian Observatory for Human Rights called for an independent investigation into what it described as “the massacre”. 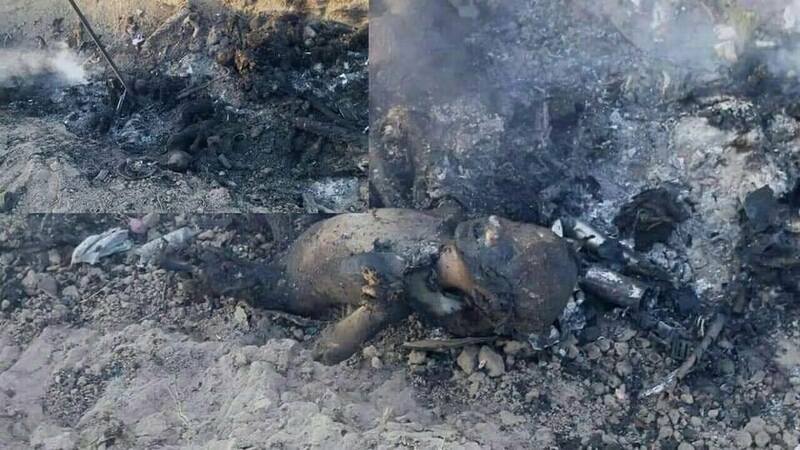 The Syrian Observatory questioned whether the international coalition knew during the bombing of the camp of the presence of children and women from the families of ISIS and why media was prevented from entering the area on the morning of March 20th. 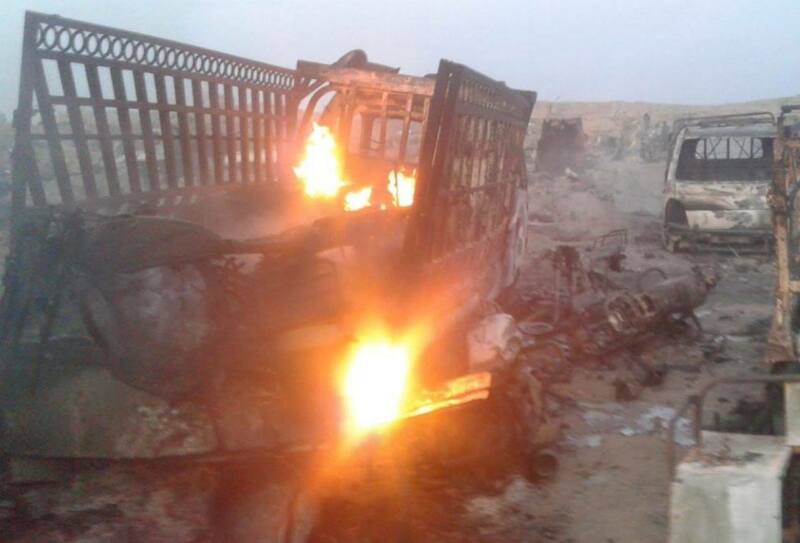 The Syrian Network for Human Rights (SN4HR) reported a much lower number of individuals killed in aerial and ground attacks on Al Baghouz camp over the course of the last four days before the declared capture of Al Baghouz on March 23rd. The Syrian Network said that tens of individuals were killed, including women and children, most of whom were reported to be family members of ISIS members. The Network added that it was unable to specify the details of the attacks and the death tolls at the time of writing. 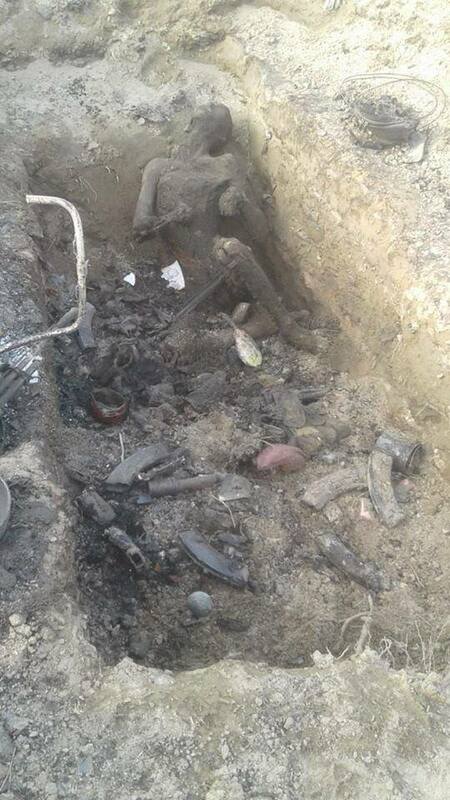 On March 20th, RBSS published several pictures alongside a report that SDF "dug mass graves to bury those killed and even those merely injured" after taking control of Al-Baghouz. Local sources reported that US-Coalition air-and artillery strikes resumed after 24-hours of calm and struck Al-Baghouz camp in the evening of March 17th. According to Syrian regime affiliated news outlet SANA, the Coalition shelled the camp and its surroundings. Step News added that the shelling was conducted by “French artillery and SDF militia” which targeted positions of “ISIS” inside the camp. Syrian Observatory for Human Rights reported that the the strikes struck farms on the outskirts of the camp. 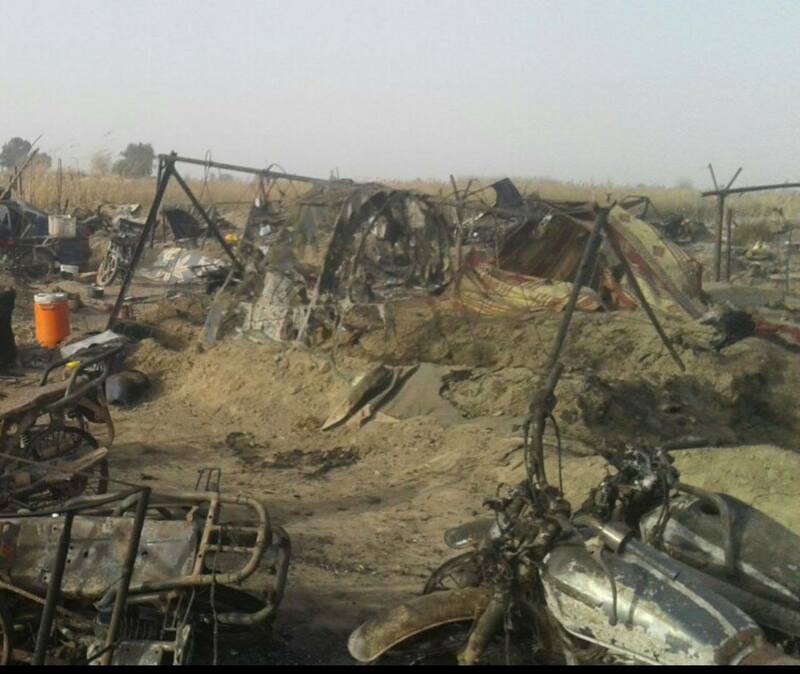 According to a video posted by posted by Manartet Al Furat, a US-Coalition air- or artillery strike struck a structure that was in use as a weapons and ammunition depot inside Al-Baghouz camp and caused an explosion. All but one source reported that 10 civilians were killed. The Syrian Observatory for Human Rights reported a total of 12 civilians killed, among whom were five children and seven women. Report of the Syria's Democratic Forces that resumed shelling of the last pocket of ISIS in Baghouz on March 17th 2019 (via DMC). 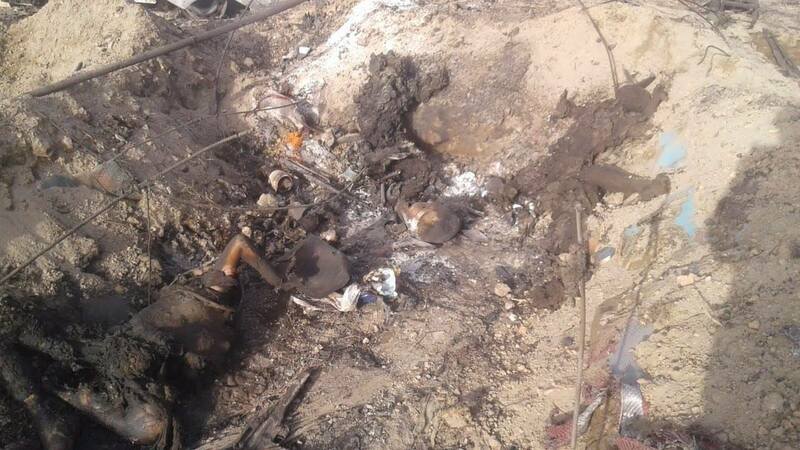 Photo's showing the remains of bodies after an alleged Coalition airstrike was reported to have struck a weapons and ammunition depot inside Al-Baghouz camp, causing an explosion (via @TunisiaQatar). 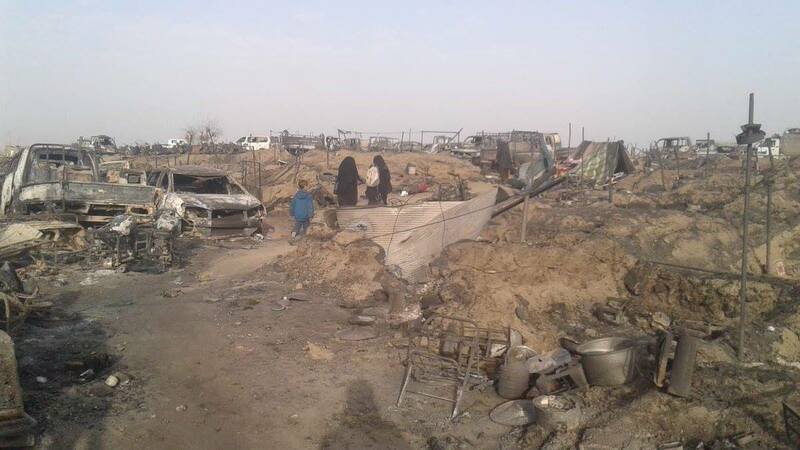 Local sources reported that a family of five including three children were killed in alleged Coalition bombing in Al-Baghouz camp days several days before March 20th. The exact date they were killed remains unknown. Ahmad Abd Al Rzzaq said: “My cousin Louay Abdel Wahab Al-Hamad Al-Ibrahim Al-Abdullah and his wife Nadra Abdul Aziz Al Thabet Al Khudur, and their three sons Khalil, Isra and Yaqoout” were killed – but said that they died in Hajin which would mean they were killed before December 15th 2018. But all other sources said that the family died at Al Baghouz camp. Ahmad Abd Al Rzzaq noted that the family were refugees from Hajin, though @DeirEzzor24 said that they were from Al Mayadin city. Airwars can’t confirm any more details at this time.